Welcome to Schwabe's Automotive Center! Our family-owned and operated auto repair shop has been serving Southeast Edmonton since 1985, earning a stellar reputation for honest, high-quality vehicle repairs as well as friendly customer service. When you bring your car to Schwabe's for repairs or maintenance, you’ll recognize many of the same smiling faces every time you visit—that’s because several members of our team have been with us for decades. You see, we’re big on loyalty and reliability here. We count on each other to be reliable, and, in turn, you can feel confident relying on us when you need automotive service. It’s a formula that’s worked for over 30 years! The Journeyman technicians at Schwabe's Automotive Center are trained, equipped, and qualified to work on all types of domestic and import autos, as well as fleet vehicles. Being around for 30+ years, we have many long-term customers who have brought all their family vehicles to us for decades, as well as a roster of Edmonton area businesses who count on us for reliable, efficient fleet service. We believe in doing the job right the first time and maintaining high-quality standards, whether we’re doing an oil change or a complex engine repair. Plus, we’re honest, which means we’ll never try to sell you an automotive service you don’t truly need. Trust Schwabe's Automotive Center for All Your Auto Service Needs! 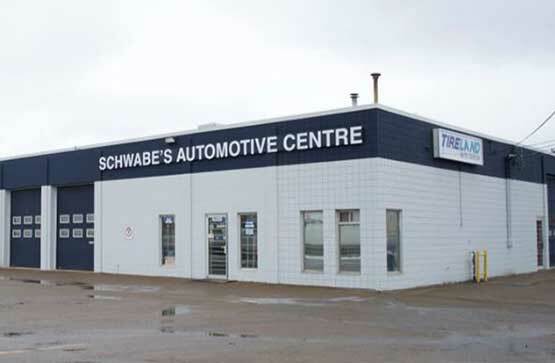 At Schwabe's Automotive Center, we have always been honest with our customers—it’s a principle we’ve stood by and stuck with since opening our doors. We have always believed that there is enough honest work out there that nothing needs to be inflated or fabricated. When we tell you that you need an auto repair or maintenance service, you can trust our recommendations are in your best interests. We understand finding time for automotive maintenance and repairs can be difficult when there never seem to be enough hours in the day. And who can afford to miss work or be stranded without a vehicle? At Schwabe’s, we try to make car care as convenient as possible by providing vehicle pick-up and drop-off, as well as a 24-hour key drop when you need to leave your car after business hours. While you’re at the shop, we want you to be comfortable with coffee, refreshments, and free Wi-Fi. 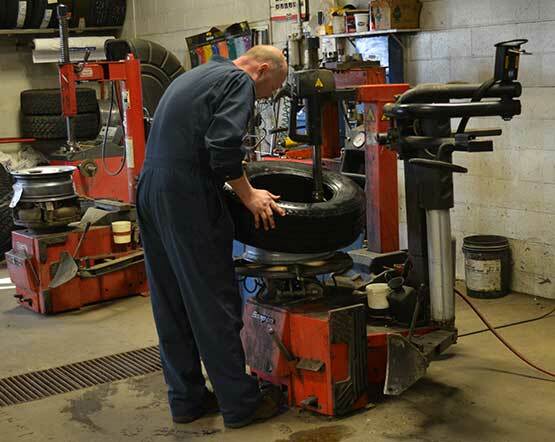 Our auto repair facility has been located at 4912 74 Ave. in Edmonton, Alberta since 1985. (To say we’re a well-known fixture in area may be an understatement.) However, if you’re new to our shop, we’re just south of the Sherwood Park Freeway on the corner of 74 Avenue and 50 Street, north of Whitemud Drive. We’re very convenient to the communities of Sherwood Park, Beaumont, Ardossan, Ft. Saskatchewan, Nisku, and Leduc. We invite you to join the Schwabe’s Automotive Center family! For honest, high-quality auto repair in Edmonton, we can’t be beat.